Prior to joining Ironbark Asset Management in 2013, Mike worked at Patersons Securities for over five years as a Private Client Investment Adviser. Mike also worked at Deutsche Bank and Deutsche Asset Management in London and Sydney as a Management Accountant. Mike is a qualified CPA and holds a Graduate Diploma in Applied Finance & Investments (FINSIA). 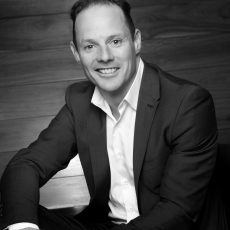 Mike is also accredited with FINSIA for Derivatives Adviser Levels I & II and holds a Bachelor of Business majoring in Accounting from CSU Bathurst. As the Business and Financial Manager of Ironbark Asset Management, Mike Bigwood assists the COO in the financial control and business management of Ironbark Asset Management.